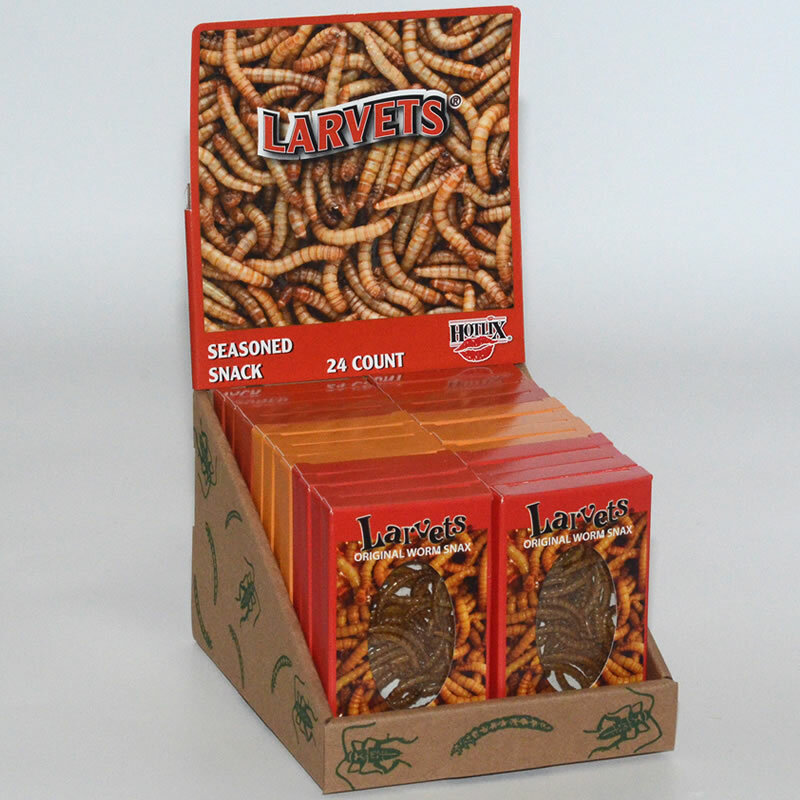 Real larva, deliciously seasoned. Offered in three flavors: BBQ, Cheddar Cheese, or Mexican Spice. Available in individual boxes of each flavor or in an assorted 24 count box.